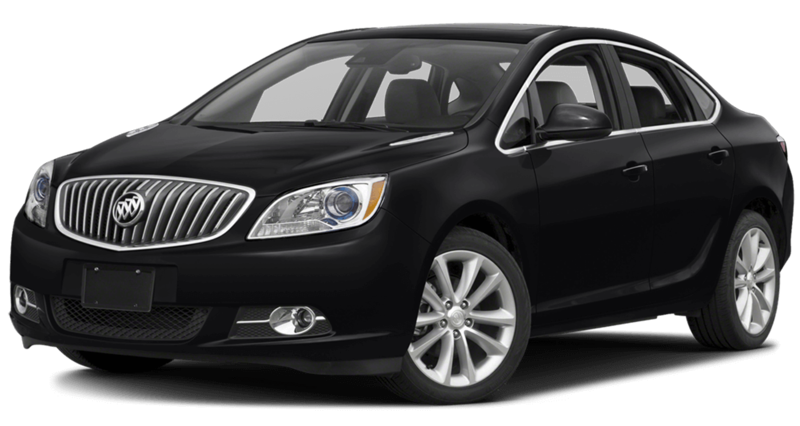 The luxury offered by the 2017 Buick Verano is now available at Westridge Buick GMC in Lloydminster. Offering a wealth of innovative technology and an extremely comfortable interior made of premium materials, you’ll appreciate every thoughtful detail that makes up this small luxury sedan. 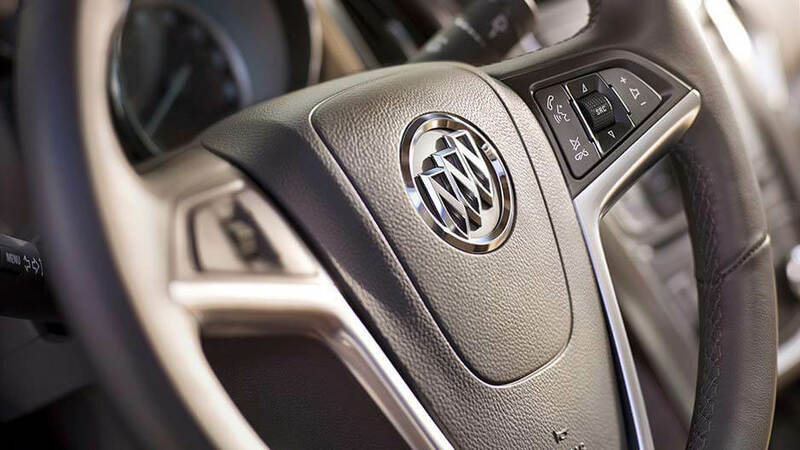 The small yet potent engine and six-speed automatic transmission provide an exciting drive experience, while touches available on higher trims, such as a leather-wrapped steering wheel, make the Verano a smart choice for Alberta drivers. 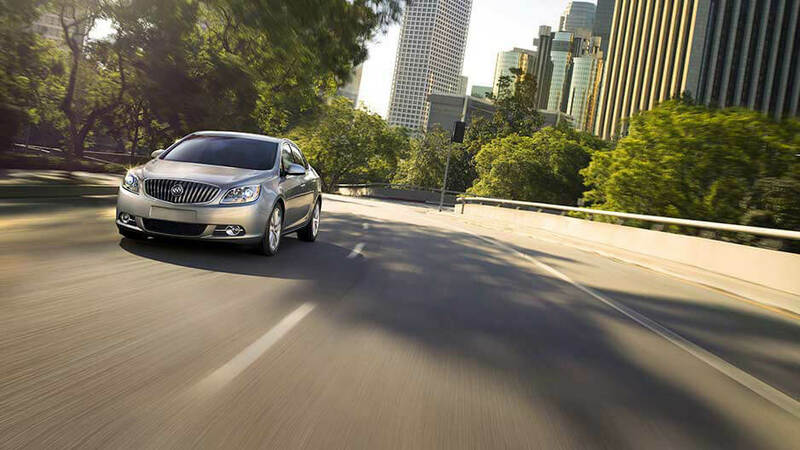 With four trim levels to choose from, Lloydminster drivers are sure to find a Verano that’s right for them. 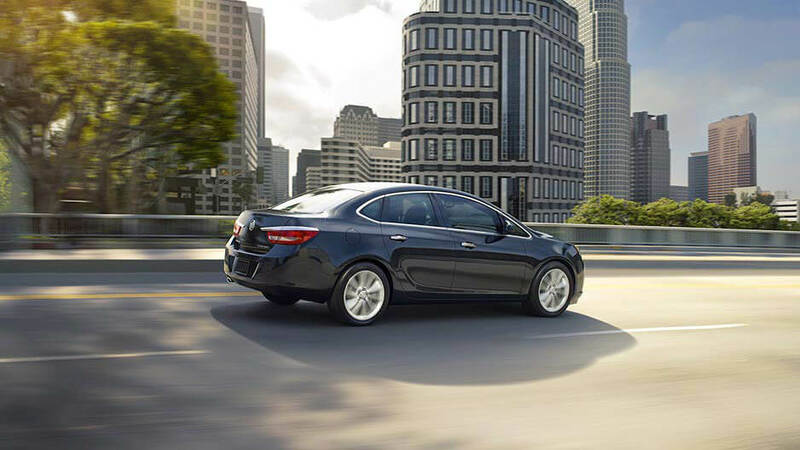 Whichever trim level you choose, all three are equipped with the style and performance you’ve come to expect with a Buick. 2017 Verano Base: The Verano Base offers standard dual-zone automatic climate control to keep everyone comfortable, OnStar 4G LTE Wi-Fi to keep you connected on any adventure, and much more. 2017 Verano Convenience: Bluetooth connectivity, an enhanced Driver Information Centre, a 178-millimetre colour touchscreen, a leather-wrapped steering wheel, and a Rear Vision Camera make the Verano Convenience a pleasure to drive. 2017 Verano Leather Group: The Verano Leather Group stands out with a Keyless Open system, a Universal Home Remote, Ultrasonic Rear Park Assist, and available IntelliLink with navigation. The 45.7 cm multi-spoke machined alloy wheels and chrome detailing give a nod to the power under the hood. The 2.4L DOHC 4-cylinder engine of the Buick Verano packs a lot of power in a small package – 180 hp and 171 lb-ft of torque to be exact. StabiliTrak technology provides enhanced traction and helps you maintain control of your vehicle, while responsive steering means you’ll enjoy handling on your terms. Spark ignition direct-injection technology means your Verano has the best of both power and fuel economy. Exteriorly, the sculpted aerodynamic design of the body catches the eye, while sophisticated details like chrome mouldings and sculpted projector-beam headlamps hint at the power inside. Every Verano comes standard with OnStar 4G LTE capability, which turns the cabin into a Wi-Fi hotspot for easy and portable connectivity. 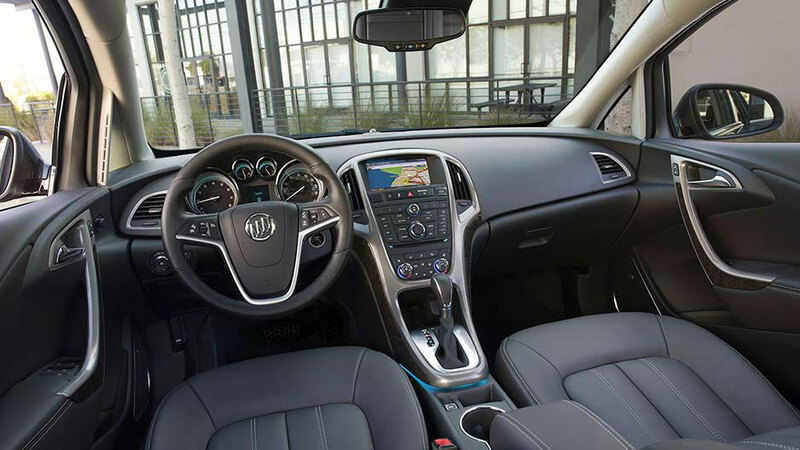 Combine this with optional Buick IntelliLink, and you’ve got unparalleled access at your disposal. This program allows Lloydminster drivers to make and receive phone calls, access Pandora Internet Radio and SiriusXM Satellite Radio, and much more – all through voice activation or the handy touchscreen. You can even customise the home screen so the features you use most frequently are immediately available. The optional navigation system gives you access to real-time traffic information and directions, allowing you to save favourite routes and destinations. When you approach your Verano, the innovative Keyless Open system senses your key fob in your pocket or bag and unlocks the doors, and later locks them as your walk away. Lloydminster drivers can also choose the Bose premium 9-speaker audio system, which is standard on the Verano Leather Group, to enjoy precision-quality balanced sound in the cabin. The interior of the 2017 Verano is filled with thoughtful touches that provide an unparalleled driving experience. The eight-way manual-adjustable driver’s seat allows you to configure a seat position that’s just right for you. Sophisticated details like premium seats with ribbon cloth inserts and leatherette accents provide a comfortable, while the optional premium leather seats offer a supremely soft texture and supportive cushioning. Available heated front seats will keep you cozy inside even when the temperature drops, and QuietTuning technology absorbs noise from the road to minimize distractions and create a peaceful environment for you and your passengers. To test drive a 2017 Buick Verano be sure to visit Westridge Buick GMC. Our showroom is located at 2406 50th Ave in Lloydminster. Stop by today or contact us at 855-829-1813 to set up a test drive! Our team of Buick experts is standing by to assist you from 9 a.m. to 6 p.m. Monday through Saturday!